Bhutan Department of Revenue and Customs (DRC), in collaboration with the World Customs Organization Asia Pacific Regional Office for Capacity Building (WCO ROCB A/P) and the Asian Development Bank (ADB), conducted its second and final national workshop activity under the WCO-ADB joint subregional train-the-trainer on Customs valuation multiyear assistance initiative on 9-12 May 2016 in Phuentsholing, Bhutan. 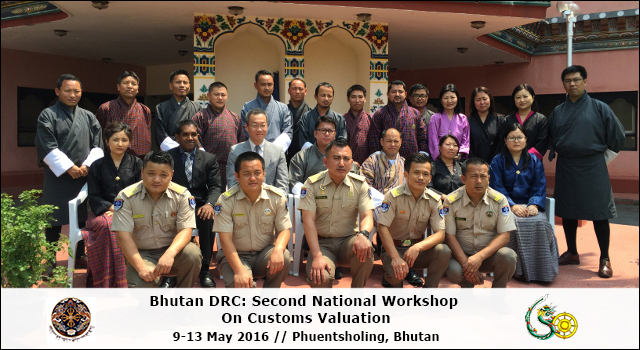 This Workshop followed on from the First National Expert Mission on Customs Valuation in Bhutan held in June 2015, which prepared a Standard Operating Procedure (SOP) manual for Customs valuation control and guided PCMs in conducting onward training, based on the new manual. 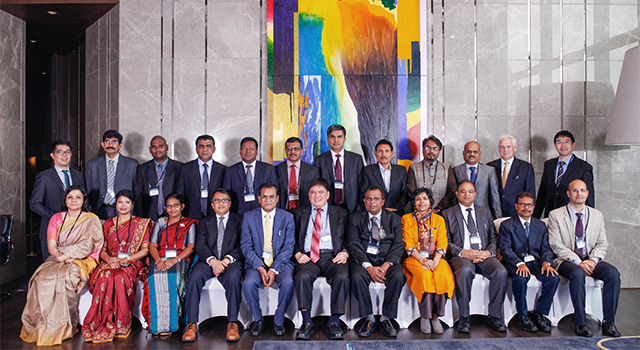 The Second National Workshop finalized the SOP for Customs valuation control in line with the new Customs Act of Bhutan, and supported project core members of DRC in delivering a two-day workshop using the new SOP, guided by technical experts from WCO ROCB A/P and the Maldives Customs Service. 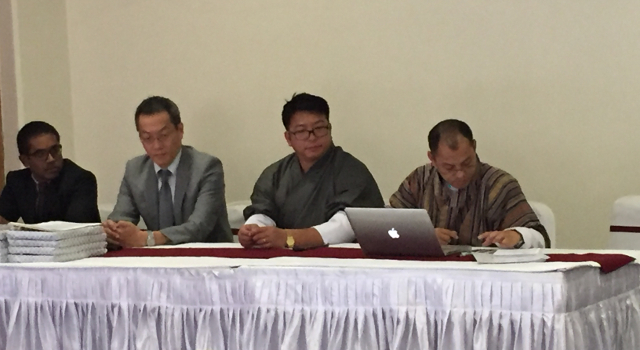 Mr. Sonam Dorji, Regional Director, Regional Revenue and Customs Office – and a project core member of the Customs valuation unit – addressed the opening and closing sessions of the Workshop and highlighted the benefit of having the finalized Customs Valuation SOP in place. 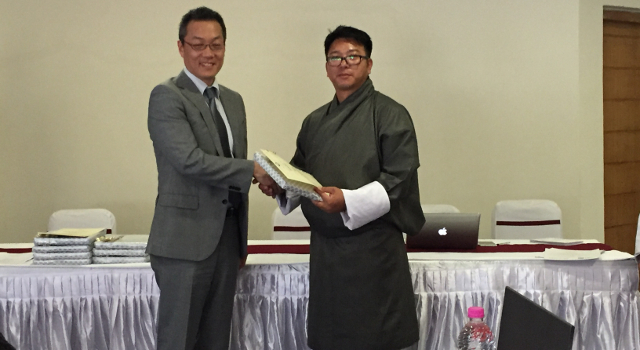 Participants of the two-day Workshop totaled 25 Customs officers from Thimphu, Paro, Gelephu, Phuentsholing, Samtse, and Samdrup Jongkhar. 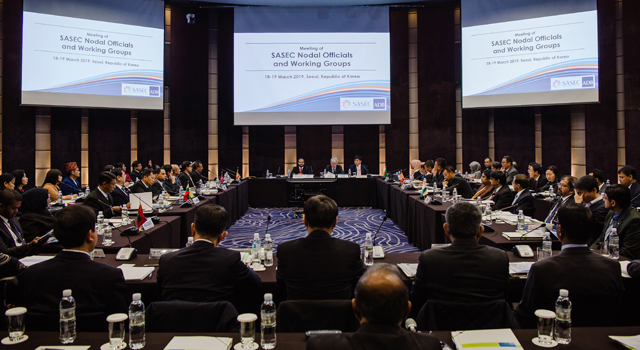 The Asian Development Bank through its Technical Assistance Special Fund funded this Second and Final Workshop and provided logistical arrangement and support. 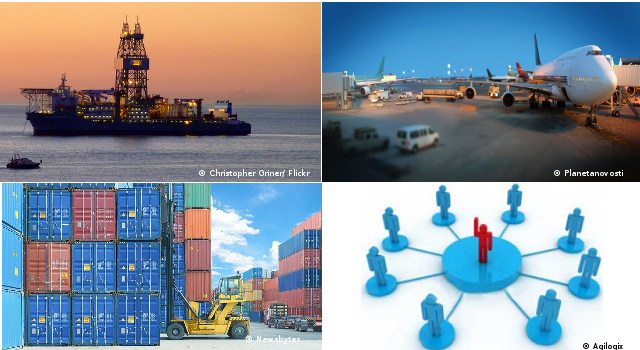 The First Workshop was supported by technical assistance from the Japan Fund for Poverty Reduction, administered by ADB.